Compufix: Laptop won't boot up? If your laptop computer won’t power up, it might be broken and need repair. Some of the time, though, the problem isn’t your computer at all — it’s your power supply. Other times, your battery is dead. And, finally, it could just be that your computer is fine, but it just isn’t responding to the Power button. Here are a few simple checks to carry out..
Just because you think your computer’s battery is charged doesn’t mean that it actually is. It’s entirely possible that your plug slipped out of the wall or out of your computer while it was supposed to be charging. On the other hand, many computers don’t really turn off when you turn them off, and keep drawing power from your battery. Fixing a dead battery is easy to do. Plug your computer into its power supply, wait a few minutes and power it up. If this works, the battery was the problem. Sometimes, the terminals for your laptop computer’s battery get dusty or dirty and it doesn’t make contact. If this happens, your computer won’t run on battery power and won’t turn on if you don’t have its plug. To solve the problem, remove the battery. 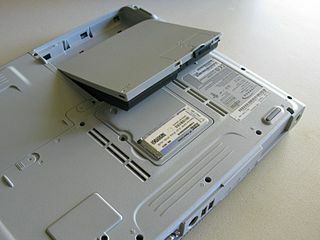 Remove the battery by flipping your computer over to access it and finding the spring-loaded switch that holds it in. Hold the switch and lift the battery up or slide it out. The terminals will be in a small block somewhere on the battery that correspond with metal fins or pins on your computer. Use compressed air to blow them clean and wipe your computer’s contacts with a soft cloth. Reinsert the battery, wait a minute or so, and try to turn your computer on. Remove the battery by finding the switch that holds it in. If your laptop won’t start up because of a dead battery and the battery won’t charge, you could have a dead power supply. To test your power supply, plug it into your computer and see if the battery light is lighting up. If it does, the power supply might not be the problem. If it doesn’t, make sure that your power supply’s power cord is tight — sometimes the cord that goes from the wall to the power supply gets loose. If the cord is tight, try the power supply with another compatible computer or try another power supply with your computer — they’re not that expensive to buy. If you figure out that your power supply is the problem, you’ll either need to buy a new one or have a replacement sent under your laptop computer’s warranty. If your laptop computer won’t respond to a button press or to anything else, it could be that it’s locked up. The power on most notebook computers isn’t like a wall switch. It can physically cut the power, but it also sends commands, including the command to go to sleep or to wake up. Sometimes, you need to really reset your computer to make the power button work. Unplug your computer’s power supply and remove its battery using the above procedure. Hold the power button down with your finger for at least 30 seconds. This will clear out any stored charge in your computer. Hold down the power button for at least 30 seconds. Release the power button, and plug your computer’s power supply back in (assuming that you know the power supply works). You don’t need the battery yet. Wait a minute or so, then hold down the power button to turn it on.